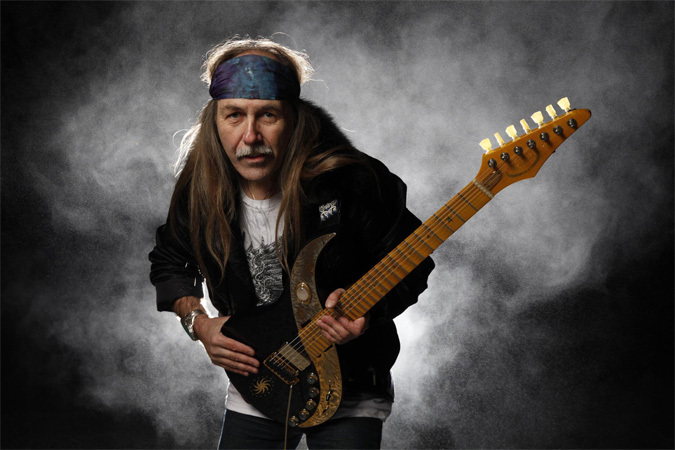 New Interview with Uli Jon Roth! If you know the history of metal guitar, you don't have to be told who Uli Jon Roth is. First coming to the world's attention as a member of Germany's Scorpions in the 1970's, he was among the first guitar players to incorporate the influence of Classical music into a heavy rock context. In the 80's, he began taking this fusion further, first with the band Electric Sun (which also bore a distinct Jimi Hendrix influence he had begun to show in the Scorpions), and then with other projects that included several orchestral works. After increasingly leaving the rock world behind for a time, Roth has seemed to come to terms with his proto-metal past. It began with a handful of onstage appearances with the Scorpions, and has now culminated in Scorpions Revisited, a studio album featuring inspired new interpretations of songs he originally recorded with the band in the 70's (plus a tour featuring a set list that draws heavily from that era).